Hand trucks - very handy unit to carry heavy and large items without breaking your back. But as every other gadget you use, make sure what it is capable of and the limitations are. Step ladders - had one of those around home for ages. Not the sturdiest but manageable for small jobs like painting or taking items from top shelves. 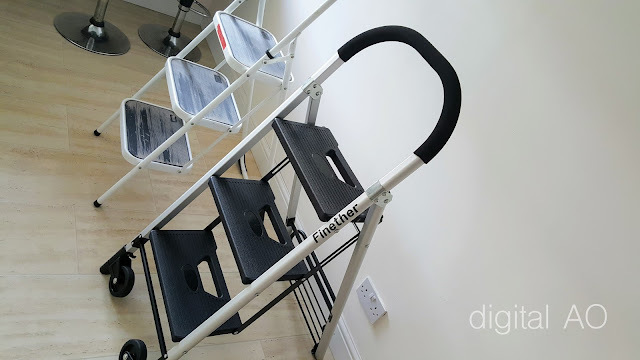 Finether has a clever 2-in-1 solution for this. 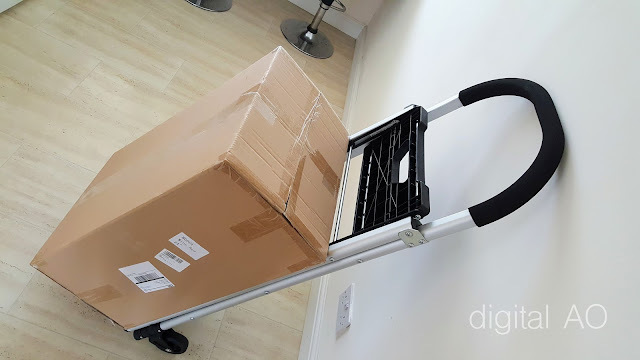 The unit is just a cute, collapsible hand truck / trolley that can be used to move around large boxes or cases in flat floors. It also acts as a very decent step ladder. 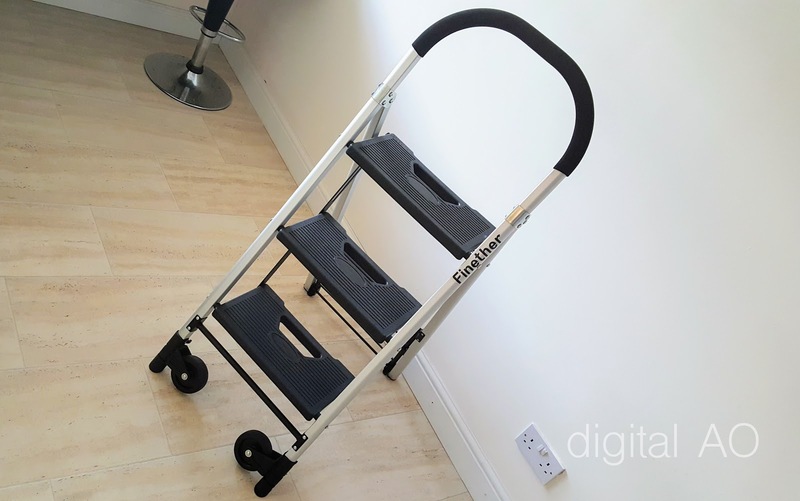 In my experience, I’d say the primary use for this is as step ladder that also acts as a hand truck just in case if you need to carry large items. 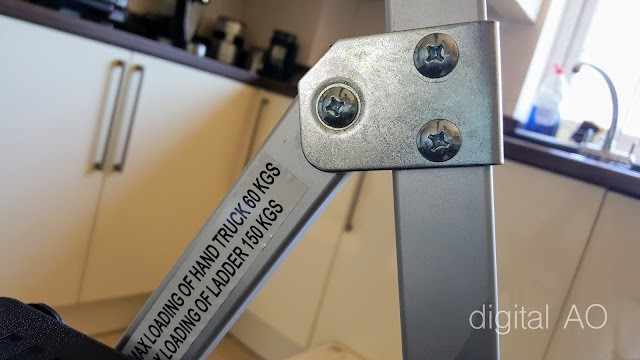 I’m sure most of you know this, but there are 2 types of hand trucks / trolleys in general. Non foldable steel trucks with 10” or larger pneumatic tires to carry heavy loads in tough terrains and then the type of Finether - the aluminium folding trolley with importance on size, convenience and easy to use. So this can take large items but not very heavy items or to use on rough terrains. As a step ladder with 3 steps, it’s strong and stable comparing to my old ladder, easy to setup and collapse down. 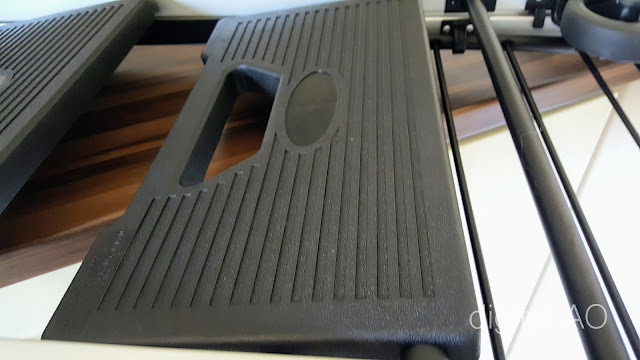 The steps has enough grips and the base is covered with heavy duty rubber bushes. 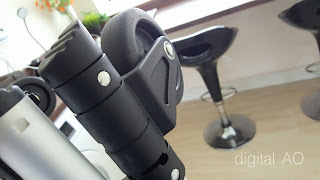 The materials used are Aluminium, Alloy metal and ABS plastic. Finether trolley can carry up to 80kg according to specifications, I’ve checked up to 60kg weight. Bottom plate is just okay for normal weights. 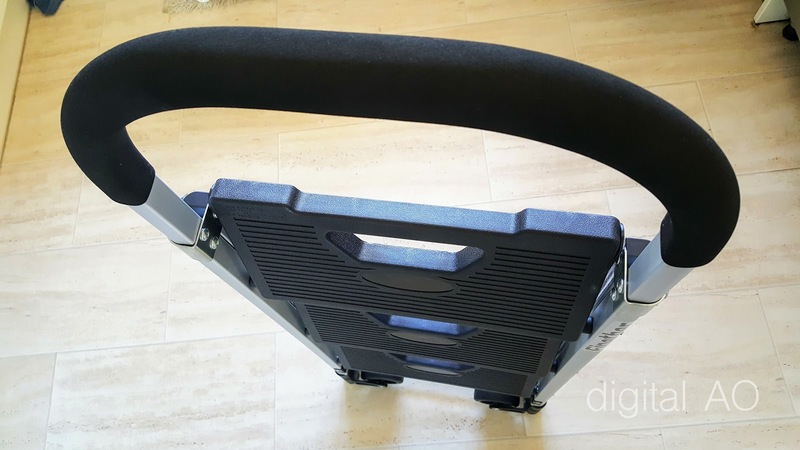 Ideal to carry large boxes, music instruments or sound systems through flat floor. 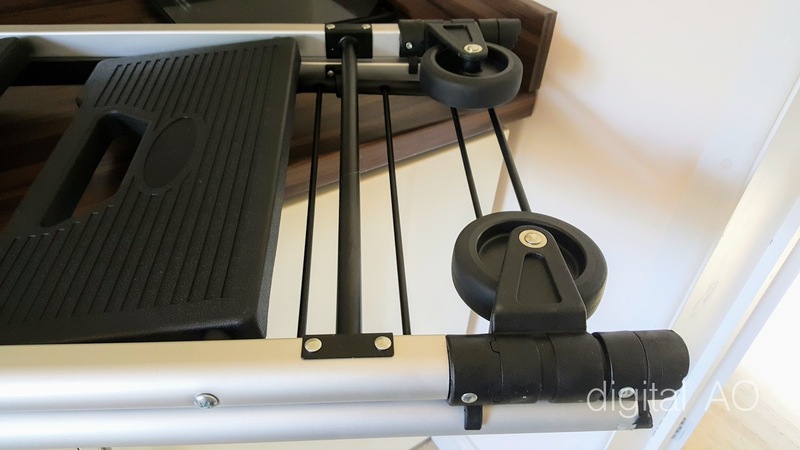 The Trolley / Step ladder has manageable weight, collapsible to a flat unit including the wheels. To convert into hand truck, you have to twist the wheels 90 degree angle. Make sure you pull down gently and twist the wheels as it has a locking mechanism. Overall a sturdy step ladder with trolley feature - folds down and collapse to a very compact unit to carry around. Wheels are hard ABS plastic / rubber that avoid the possibility of getting punctured or filling up air. Please do check out the pictures to have a closer look.